This centrally located studio apartment in Barcelona is situated close to the famous Las Ramblas, Downtown Barcelona and the many beautiful beaches. 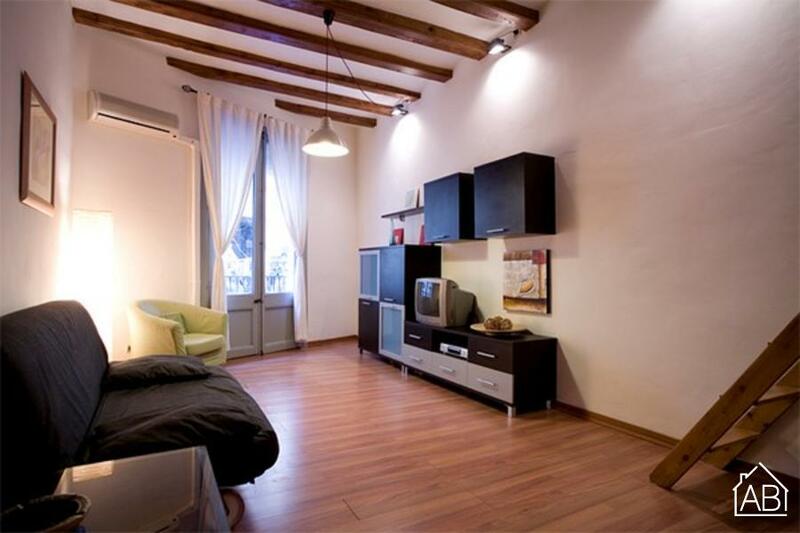 This wonderful apartment is able to accommodate up to six people. Throughout the apartment, you will find a comfy double sofa bed, a double bed and two single beds. Prepare your favorite home-cooked meals, or try your hand at some Mediterranean-inspired dishes, in the well equipped kitchen, all in the privacy and comfort of this lovely apartment. This wonderful apartment is a great choice at any time of year!